Annulus testing provides a low-cost means of ascertaining whether further remedial action is required. As a technique it can be used as a way of assessing damage and risks that could cause the flexible pipe to fail within its designed service life. The annulus test method is a fast way to assess if the annulus is flooded due to a breached outer sheath and then test the free volume of the riser for corrosion assessments. From this, operators can re-assess the service life of the riser and, if necessary, take corrective actions. Flexlife was the first service provider to use positive pressure testing offshore as an alternative to traditional vacuum-based methods, offering increased levels of accuracy at lower costs over shorter testing durations. If anomalies are identified, we are market leaders in engineering assessment, enhanced inspection and a variety of repair and mitigation methods. Flexlife has performed more than 700 annulus tests for more than 20 clients worldwide, having experience mobilising staff and equipment to offshore facilities in a variety of regions around the globe. Four Floating Production Facilities required Annulus Testing on fifty-one flexible risers off coast of Angola, as part of the operators’ Integrity Management schedule. In addition, visual inspection was required on all accessible parts of the riser topsides’ hang off points. 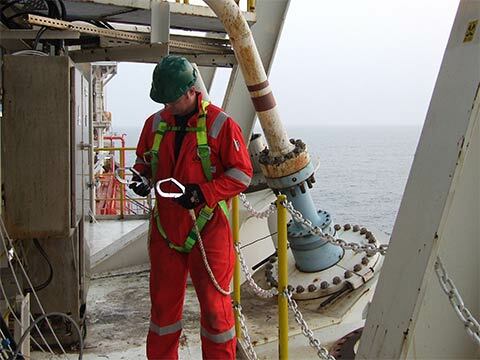 Using our test equipment, we were able to carry out fifteen riser tests on the first FPSO, eighteen riser tests on the second FPSO and nine riser tests on the third FPSOand nine riser tests on the fourth FPSO. We minimised the required offshore time by using multiple FlexScout® Annulus test kits, testing multiple risers concurrently. 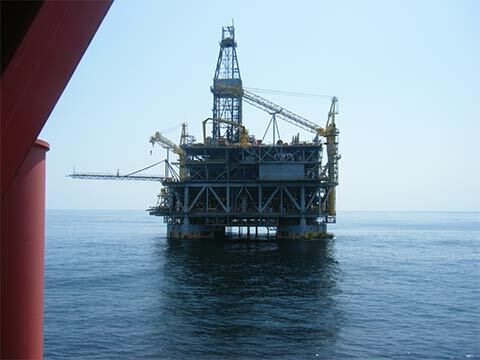 We carried out visual inspections on all topsides end fittings, hang off steelwork and vent pipework. We completed the entire testing programme in thirty days. A W African operator had concerns relating to annulus vacuum testing carried out by another vendor which indicated that three flexible jumpers had outer sheath breaches in the splash zone. In consequence, the operator acted prudently by reducing water injection pressure which adversely affected the field production output. Flexlife pioneered the use of positive pressure annulus testing and our FlexScout® annulus testing equipment has advanced flowmetering capability. In addition to this benefit our engineer’s are flexible pipe specialists able to actually know what the implications of the test data are regarding a flexible pipe’s integrity. Upon mobilising offshore it became quickly apparent that the riser annulus vents were severely restricted and its fair to assume that this is why the previous vendor reported their findings as being indicative of an outer sheath breach. Such vent restriction requires that the riser is left on test for enough time to allow for complete filling of the riser annulus. Vacuum testing is not suitable for this application. Flexlife’ data indicated that the risers were still showing representative annulus volume and that annulus pressure stabilised close to drive pressure. Despite the annulus vent restriction, the riser’s outer sheaths were still intact, thus allowing the operator to increase Water Injection pressure to optimise field production. Some annulus testing vendors are more competent than others.